I got an email the other day with the subject: “A GREAT FLICKR PHOTO”. I followed the link given in the email and found this close-up of a squirrel. Originally uploaded by näyrde von g.
Having just returned from Vienna, I’d like to tell you about Martin Grubinger who’s a multi-percussionist on a league of its own. 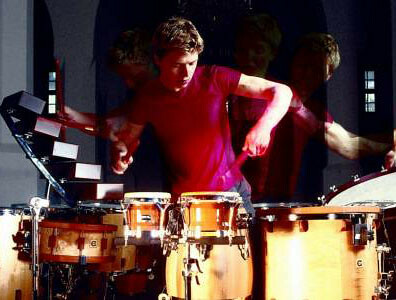 24-year old multiple awards winner Martin Grubinger from Austria (the “Wizard of Drums”) plays the marimba, conga, snare drums, timpani, bells….to keep it short: he plays anything that serves as a percussion instrument. Perhaps “play” is the wrong exression, he PERFORMS, he ENERGIZES, he is a BRILLIANT artist with a great future ahead. Actually, I intended to embed some video here but I got rather disappointed by the quality of the videos available on the web, that’s why I decided not to do it after all. 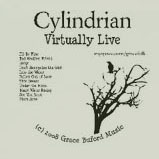 There are some better quality music samples on his last.fm site but listening alone is obviously not enough -you’ve just got to see this guy and his ensemble PERFORM their SPECTACULAR show LIVE!